Sign into your account to start your own store or register as a new member to join us now! 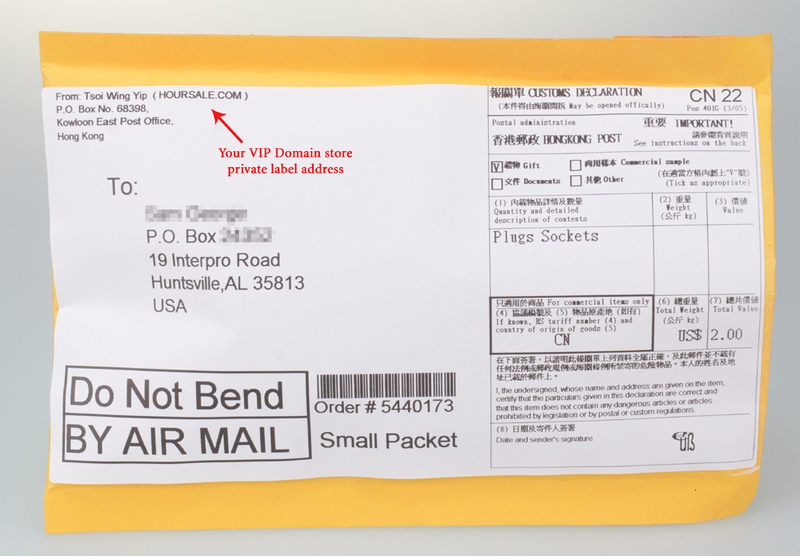 What is Drop Shipping and Our VIP Domain Drop Shipping Stores? Drop Shipping is a traditional type of selling in which the seller does not keep products in stock, but instead, passes buyer orders and shipment details to drop shippers, who then dispatch the products to the buyers directly. The sellers make profits on the difference between the wholesale price and retail price. Many sellers on eBay are using drop shipping service. Our VIP Domain Drop Shipping Stores are for those store owners who are serious about making money online! At DropShipCN.com, you can sell thousands of custom photo gifts and others with $0 setup costs, $0 inventory investment and free member base system, with your own brand name website, we drop ship your orders with free int'l airmail services. You can easily create your own brand name website and promote it. 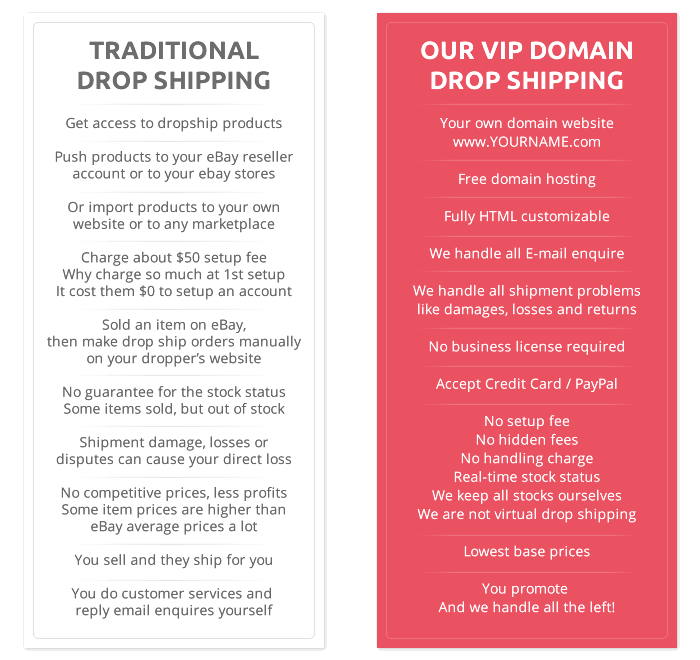 If you own a http://www.YourName.com domain store hosted by DropShipCN.com, everything will be different, your visitors to your VIP domain store will be yours forever. You can send discount offers to them by emails. If they are satisfied with your store, they will definitedly re-order from your store again, and they will NEVER be redirected back to DropShipCN.com. As you can see, DropShipCN.com is just a site for store owners to register and login, we don't sell products through DropShipCN.com at all. The most important thing is we print your own domain website on the shipments to your customers, which is the best identity about your VIP domain stores that our competitors can not offer such services. In DropShipCN.com, you can also sell our items in eBay, and after you have sold an item, you would place an order with us and we will ship the products directly to the winning buyer. You profit from the difference between the winning bid and the wholesale price, minus any selling and merchant fees from eBay and Paypal. 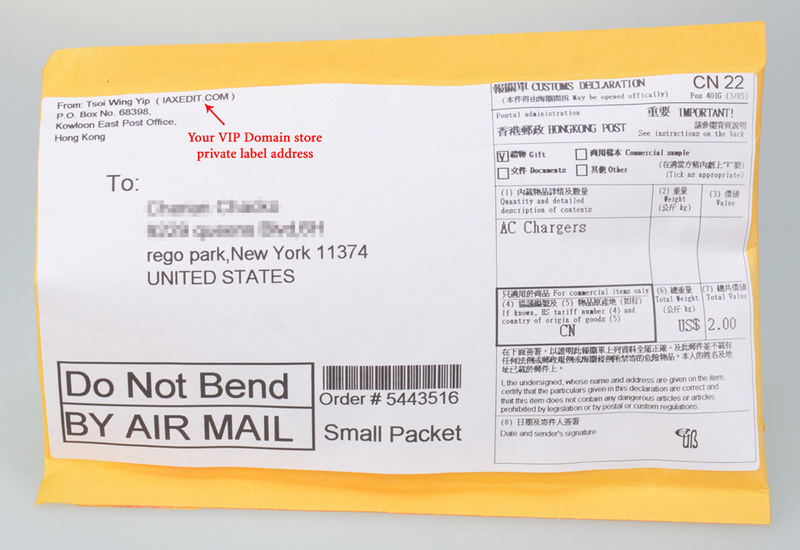 We guarantee 100% customer satisfaction by fulfilling your orders in a timely manner. You can now enjoy 12-month free trial VIP domain store drop shipping services, after free trial, it is $19.99 per month or you can pay $119.99 per year. We just removed the Powered by DropShipCN.com from footer of all VIP domain stores, emails related to your VIP domain store registration, order status, shipment, return for replacement or refund enquiries, all of these will be done through support@secureorderservices.com instead of support@dropshipcn.com, all order payments will be sent to paypal@secureorderservices.com instead of paypal@dropshipcn.com, and your VIP Domain Store Url will be printed on most of the shipping labels, see some of our shipping labels sample 1 , sample 2 , and sample 3 for your reference. 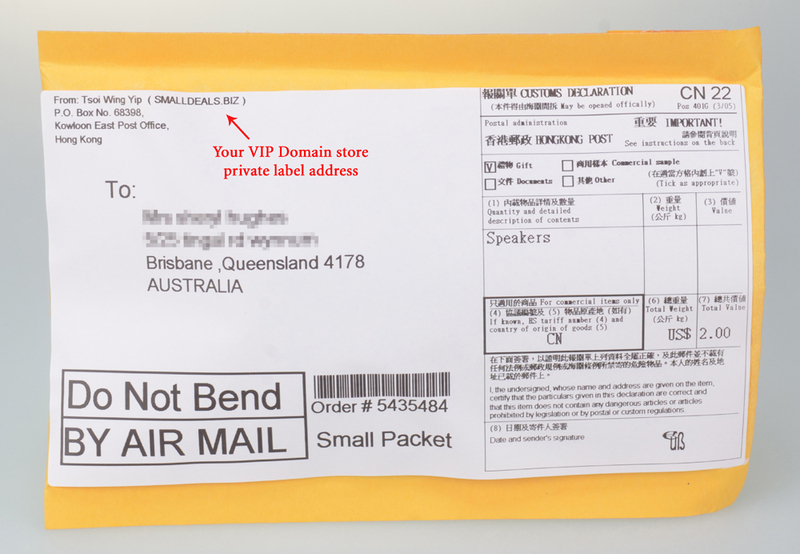 Your customers will never know that you are enjoying our VIP domain store drop shipping services. YOU HAVE BEEN SUCCESSFULLY SUBSCRIBED, THANK YOU ! Copyright © 2006 - 2019 DropShipCn.com. All Rights Reserved. Copyright © 2006 - 2019 DropShipCn.com, An ArtsNow.com Company All Rights Reserved.